Seizure protection in a bottle! 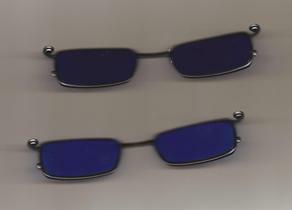 With this blue tint, opticians can apply effective photosensitive seizure protection to plastic lenses. If your local optician can tint eyeglasses, it’s now possible to get protection from visually triggered seizures without ordering therapeutic Zeiss lenses. Lenses tinted using the new Deep Blue Zee lens tint are nearly the same color and appear to be just as effective as Zeiss Z1 F133 lenses. Brain Power Inc. of Miami, and its UK arm, Brain Power Ltd. of Warwickshire, England, have introduced a cobalt blue optical tint that, according to the company, is nearly identical to the color-filtering specifications of the Z1 F133 lenses used in Capovilla’s photosensitivity studies. 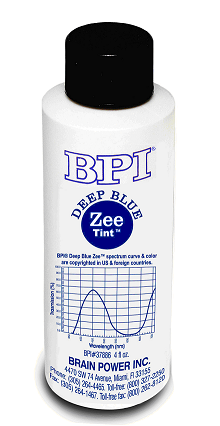 Brain Power, which supplies optical tints and laboratory equipment to opticians, optometrists, ophthalmologists, and lens manufacturers, developed the Deep Blue Zee tint specifically for photosensitivity protection. BPI describes itself as the world’s largest manufacturer of optical tints, chemicals, and instruments. My daughter has been wearing a locally tinted pair for the past week and is finding them quite effective. She actually prefers them to the Zeiss because they aren’t quite as dark and therefore don’t darken her entire view as much. Because they’re not as dark, she is still able to see when watching DVDs from farther away from the screen. The therapeutic properties of the Z1 F133 lens are due to its color and the way it blocks out shades of red. 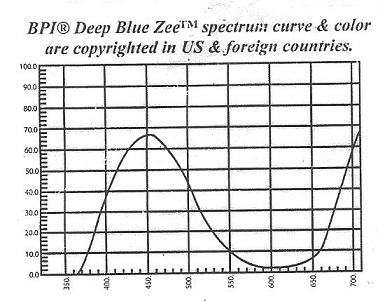 The amount of light a lens lets in across the color spectrum is measured by a spectrometer and shown in a spectrum curve (see graphs below), and each lens color has a unique spectrum curve. Capovilla and colleagues tried many colors and lens types before settling on the cobalt blue shade that lets in very little light in the red part of the spectrum. 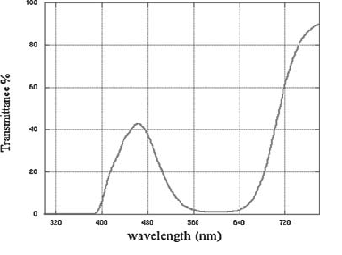 The big dip in this graph, excerpted from Capovilla’s 2006 study, shows that very little light is transmitted through the lens in the range of red wavelengths, measured in nanometers. For the tint to be absorbed properly by the lens, the lens needs to be made of a particular plastic lens material, a plastic called C-39. If you have existing lenses you’d like tinted, they need to be made of CR-39 and can’t already have a hard coating that would prevent the lens from absorbing tint. BPI recommends that the lens be kept in the dye solution for at least 30 minutes to achieve the proper color. According to BPI, after half an hour of immersion in the dye, the absorption process goes more slowly. As we’ve discovered in the past week, although the locally tinted ones weren’t as dark as the Zeiss lenses, it doesn’t seem to matter. If the lenses turn out not as dark as you’d like, your optician can make them darker by returning them to the dye solution for a little while. The price for tinted lenses will vary depending on the brand/quality of lens that your optician uses. And the quality and effectiveness may vary as well, depending on the optician’s skill, judgment, and choice of lens manufacturer. The same day we got the new clip-ons, I had the idea that Alice might be able to watch certain DVDs (no anime!) on a small screen without needing to take so many breaks. She is doing well watching DVDs on a portable 7-inch DVD player. She sits several feet away from it so that the screen doesn’t take up too much of her field of vision. If she sat very close, that would cancel out the advantage of a small image that by its size minimizes the impact of video on her brain. We now have a spare pair of cobalt blue clip-ons, allowing us the opportunity to compare the two side by side. Can you tell which is which? One pair from Zeiss and the other tinted by our optician. Please help my friend. I can’t watch him suffering anymore from the sunlight and cars lights in the evening. He can’t drive anymore. I want to buy him your sunglasses as soon as possible. Hello I am in Toronto, ON Canada. I am Epileptic with extensive photo-sensitive seizure tendencies. I cannot shop or go to the office without sunglasses which is simply not enough. I was reading that there are blank Zeiss F133 lenses for sale. I would like to purchase these and have them fitted to frames. What is the cost to order these lenses and have them fit to appropriate frames. Shireen, we carry the lenses in stock ready to ship in Plano (non prescription) that we can cut, edge and mount to your frame or send the lens blanks for your local optician to cut, edge and mount into your own ophthalmic (optical quality) frame. Please call my office or email me for the details and options. 732-974-3937 or emeraldeyes1@att.net. Always glad to help. Please be certain you have been diagnosed with Photo-sensitive epileptic seizures as this is a critical component for using this Zeiss lens. I want to add something here about the need for a diagnosis of photosensitive epilepsy in order to benefit from the blue lenses. A few years ago I met Dr. Capovilla (who did the studies on the Zeiss blue lenses) at a conference and spoke to him about my daughter. I told him that even though she showed consistent and unmistakable signs when exposed to flashing stimuli, doctors had never officially diagnosed her with photosensitive epilepsy. They couldn’t see seizure patterns on her EEG and therefore weren’t comfortable making the diagnosis. Dr. Capovilla said that in such a case the blue lenses wouldn’t help her. But they absolutely did help her for some years, preventing the very predictable episodes that didn’t register on EEG. Self-diagnosis may not be ideal, but sometimes it’s necessary when clinicians use EEG to rule out seizures–which is not how it should be used. Studies have shown that some seizures occur too deep inside the brain to be picked up by scalp electrodes. @ Jessica. Good observation. 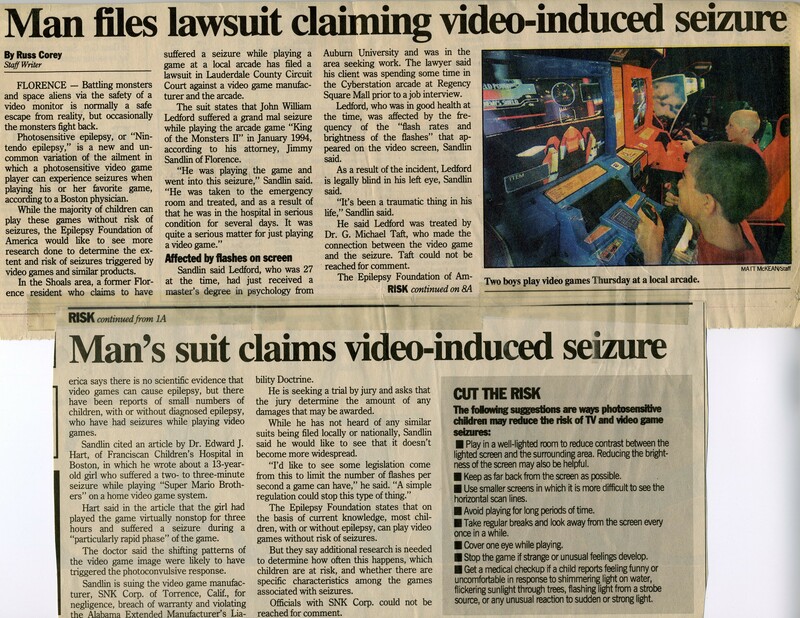 EEG’s are a reliable way to detect/rule out but like polygraph’s they are not infallible. One of my first patient’s insisted that she needed deep blue Zee lenses via self diagnosis based on blogs on the net. In her case she was absolutely incorrect. When I used a BPI 600 lens, it solved her issues. Ironically, it was a lens that concentrates on filtering blue light rather than red light waves. Which is why I have be stated be careful with the self diagnosis. There is no rule against experimentation though, when others can not , will not, or science does not reveal all the information that will help you mitigate the problem. I also want to thank you for stocking these lenses so they’re easily available to people who need them. I’m happy that you’ve been participating here and letting people know they can contact you! How did purchase this for my husband it has been recently diagnosed with photosensitive epilepsy and he is using just normal polorized sunglases and they aren’t really helping. The most important thing is the blue color of the glasses; apparently being polarized doesn’t necessarily help. To get blue glasses, you can go to an optician and ask about getting lenses tinted using the Deep Blue Zee dye. Any optician with a lab should be able to help, even if your husband doesn’t ordinarily wear glasses. Unfortunately, you can’t reuse the frames from ordinary sunglasses from a drugstore because the optician needs to be able to insert the blue lenses in a permanent way. I spoke with an optician willing to do that, but she said she needed the gradient for the color. She said my doctor would know, but my Dr. has no idea what she’s talking about. Do you? I just looked it up because I didn’t know, either. Apparently gradient means when tint is applied more heavily to the top of the lens with less at the bottom. For these lenses there is no gradient. The entire lens should have a uniform color so that you have adequate protection from all angles. It’s probably worth noting that larger lenses are preferable to smaller ones, where light could get in from the sides. I went frame shopping last week and saw that larger frames are back in style. Normal polarized lenses would not help. There have been studies that validate that. There have been, however, studies that show cross-polarized lenses have worked. Like most things in life there are specific tools for the job at hand. We often hope that the “home remedy” will work as well as the scientifically designed one. The zeiss F1 lens is specifically designed to filter out a particular range of light wavelenghts that trigger photosensitive epileptic seizures. It is important that your doctor diagnose you with the specific problem. I have has multiple patients self diagnose themselves incorrectly. Also in regard to the BPI Deep blue zee lens. A gradient tint would not be appropriate for this condition. The guidelines are such that the Deep blue zee must be tinted at a specific temperature for a designated amount of time to reach the optimum and specific tint density required to filter out the specific range of light required. This is not a situation where a licensed optician, like myself, or the patient for that matter gets to decide what type of tint and how dark it should be made. We need to move away from that line of thinking, otherwise someone is going to get injured. Although some experimentation may be warranted with doctor guidance, there are guidelines that are intended to be followed to reach the desired effect. One last thought on this subject. I get this all the time and patients are amazed at the results. Lens color is not the primary factor in light filtration. I show patients by taking a clear lens and shining a high energy visible blue light where one clear lens filters it completely and the other allows all the light to pass through. The same for tinted and polarized lenses of various qualities. So the point is, BPI makes multiple blue dyes, as with all their colors. It is the chemicals in the dye in addition to the dye color that effects the wavelengths of light that it will allow to pass through. Think of sunscreen. Most are clear, but filter out UV. Don’t conflate this concept, well, just tint the lenses dark blue. You could be making a big mistake. It depends on if they are Rx or Plano. You can call my office for details. 732-974-3937.
sorry for the late reply, depends on which lens. feel free to call the office to discuss. 732-974-3937. look forward to hearing from you. We are so happy to hear that patients are responding well with the lenses. We now have in stock the Zeiss Z1 F133 Plano (non prescription) lenses in stock for edging and mounting into the ophthalmic frame of your choice. Thanks to everyone for your feedback. Glad we are able to help. Check us out on facebook https://www.facebook.com/emeraldeyes.inc/ or our web site for more information. norman – my good friend is looking for these lenses and/or sunglasses w/ these lenses for her 9 month old son who suffers from epilepsy and has multiple seizures a day. do you have sunglasses for babies that could be fitted with these lenses? we’re in Indiana so she couldnt come in but is desperately searching for a solution for her son. thanks in advance. @Jamie L. M. Yes, I have frames that are suitable for infants. if you call my office I can go over all the options. Remember these are not “sunglasses” they are very dark lenses that concentrate on filtering out a particular wave length of light that is known to trigger photosensitive epileptic seizures. Look forward to hearing from you Norm. 732-974-3934. Emerald Eyes now has the Deep Blue Zee lenses (in plano/non rx) in stock and ready for edging and mounting into the ophthalmic frame of your choice. The Zeiss Z1 F133 plano lenses are on their way. To all that have ordered and received their lenses, we welcome your feedback on the success you are having. Hopefully, theses lenses will ease the burden and difficulties many of you have articulated in our phone conversations concerning yourself and loved ones with this condition. We are always here to help. Good luck and success to all. I’m so glad to hear that people are asking for these lenses and that you’re supplying them! I ordered some clip on lenses for my prescription glasses from Norman. He really provides excellent service. I’ve been wearing them for a week now and they work really well. I used to have problems in Walmart and other stores with fluorescent lighting but these lenses eliminate my symptoms. We also have a substantial complement of the BPI Therapeutic tint samples along with the Zeiss Z1 F133 and Blue Zee lenses. You may want to try the blu tech lens. They are designed to eliminate or greatly reduce HEV light(High Energy Visible Light). As a New Jersey Licensed Optician, I have had a lot of success this lens for folks driving at night against the bright xenon and other LED headlights. I haven’t actually heard about contacts created for photosensitive epilepsy, but it must be possible to tint contact lenses the right shade of blue. They do it for cosmetic reasons, so why not for medical purposes? I would think it would just be a matter of providing the info to the supplier about this specific tint. I cannot order these without knowing the gradient density . This means the percentage: 30%, 40%, etc. Any help? I’ve looked everywhere online. Hi guys, just a quick note on something. I don´t really think you need to dye the CR39 for about 30 minutes, that seems way too much for a regular organic CR39 lens. I think 30 seconds should do for this deep blue tint. Just my 2 cents. I initiated the request q + a on Specsaver website for blue tints. I have now got blue tinted reading glasses and the only reason for not having blue z133 coating on my far vision glasses was the driving at night loss of light aspect. I now regularly travel by train and so the flashing of light throught he trees etc and doing lots of hours in front of computers is my career. i would like to try the above tint. I willl be contacting specsavers (Ashton UK) for another pair of glasses with these specific colour on to upgrade etc. Their optician their (upstairs ) I have found to be excellent and is particulary helpful. Hello. I have a condition/disease called, Recurrent Cornea, Erosion Syndrome. One of the symptomatic problems of RCES is extreme photosensitivity, especially at night. Headlights are like megawatt laser light beams aimed directly at my pupils. While that might be an exaggeration, you folks here would understand, I think. I had cataract surgeries recently and this seems to literally magnify the sensitivity. I don’t have seizures, and I am so sorry for those who do. I found this site and I am hoping for advice. Where do I start? I’m sorry to hear of your condition, and unfortunately, I don’t know what to suggest. On this site the term “photosensitivity” refers specifically to photosensitive epilepsy that is characterized by seizures. Some optical lenses (such as the Zeiss z1) that protect against photosensitive seizures do this by blocking out a great deal of all light. Maybe something like that could help you?